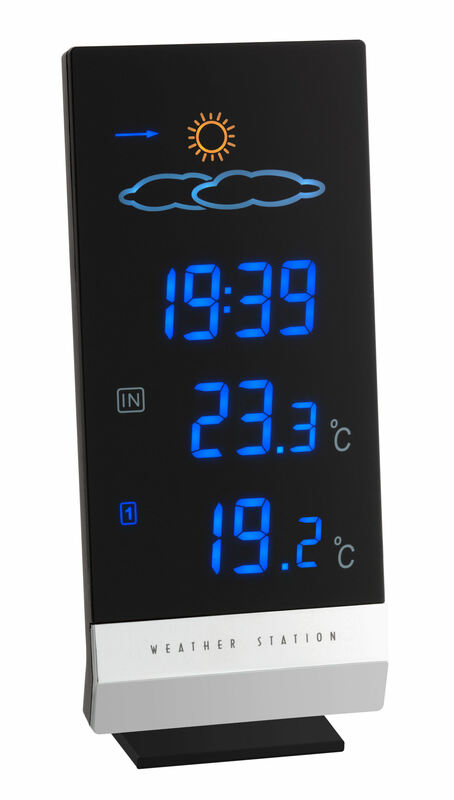 The wireless weather station "LUMAX" presents the weather in colour! Just a glance at the luminous weather symbols and you’re immediately in the picture. 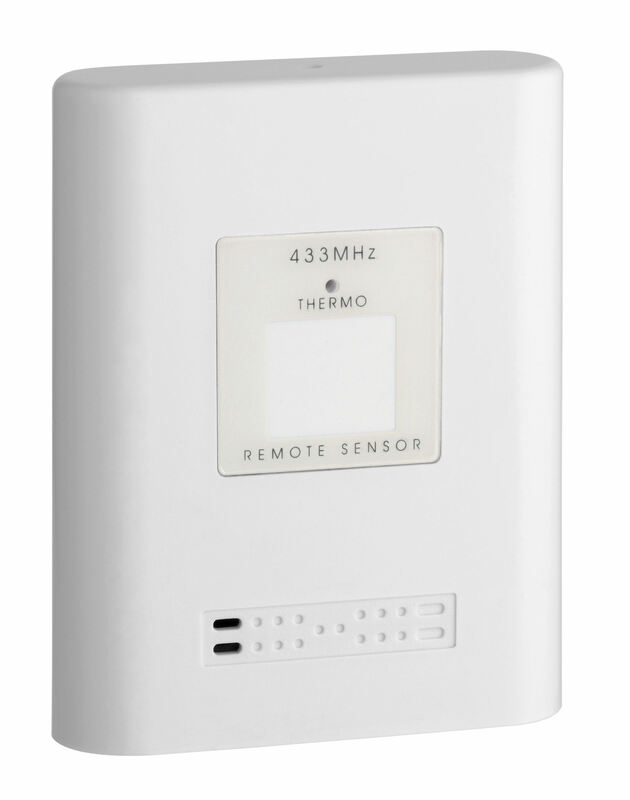 The outdoor temperature is transmitted via a small wireless transmitter on site, the indoor temperature is measured by an internal sensor in the station. 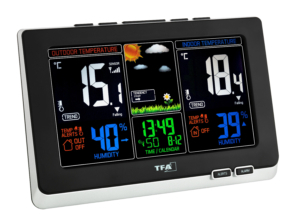 An integrated electronic barometer detects the air pressure on site. 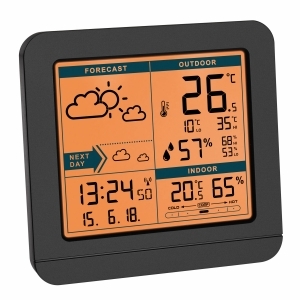 If enough values have been collected after 24 to 48 hours, the observation of changes in atmospheric pressure makes it possible to forecast the weather: If the air pressure rises, the weather is expected to improve, and as the air pressure decreases, the weather deteriorates. 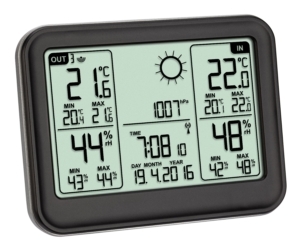 The station then shows the corresponding symbol on the display based on the current weather. 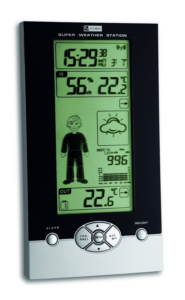 The built-in radio clock is updated to the second with the DCF-77 signal. 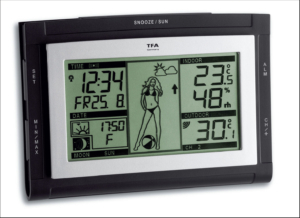 With the alarm function you have an ideal start of the day. 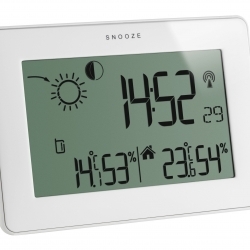 And if you want to sleep for longer, simply swipe over the infrared sensor and the snooze function wakes you up a few minutes later.